On November 6th, Bart Remes of the MavLab of the TU Delft presented at TEDx Amsterdam. 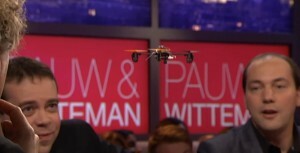 At night he also featured in the Pauw and Witteman show presenting the “drone in your pocket” vision. His presentation starts at 10m20s.